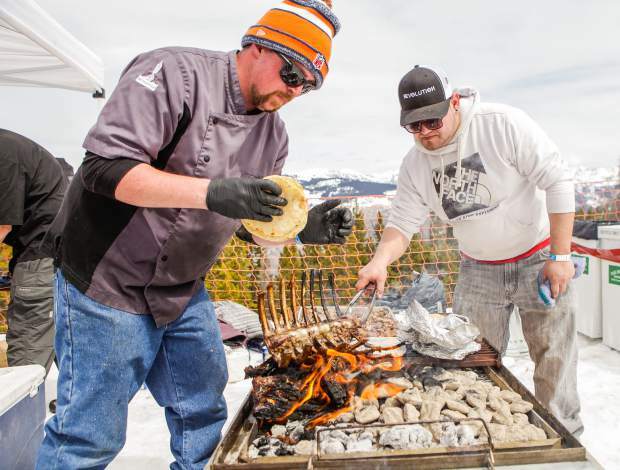 Local chefs put their best dishes forward for Taste of Vail. 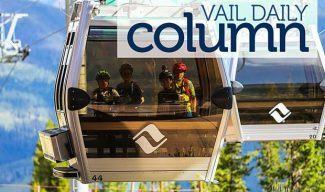 The 28th annual Taste of Vail features more than 30 guest chefs, restaurateurs and sommeliers as well as more than 55 top wineries from around the world. Over the five-day festival attendees experience signature events including the Debut of Rose, The American Lamb Cook-Off and Apres Ski Tasting, The Mountain Top Tasting and the Reserve Grand Tasting as well as seminars, intimate wine pop ups, dinners and more. Follow on social media at Facebook, Twitter, and Instagram and #tasteofvail. The Taste of Vail, a premiere food and wine festival returning to the heart of Vail on April 4-8, invites dozens of winemakers and owners from all over the world to pour wine and interact with participants. Join Oregon winemakers and owners including Brian O’Donnell from Belle Pente, Mark Vlossak of St. Innocent and Flo Merlier from Van Duzer as they discuss the changing wines of Oregon. When: Thursday, April 5, 2-3 p.m. Explore the differences between Tuscany’s famous regions of Chianti, Montalcino and Bolgheri. Learn more about the resurgence of quality in Chianti as well as the continuous evolution of the popular Brunello di Montalcino and the status of Bolgheri in the world of wine. When: Friday, April 6, 4:30-6 p.m.
Often described as a stylistic bridge between New Zealand and Sancerre, does South African Sauvignon Blanc have what it takes to be the next white wine preference of the wine savvy and food-centric consumers of the USA? When: Saturday, April 7, 9 a.m.-10:30 p.m. The region once world famous for its noble sweet Rieslings has broadened its portfolio thanks to changing climatic conditions and is now home to some of Germany’s finest dry Rieslings, Chardonnays and Pinot Noirs. Join winemakers Fritz Becker from winery Friedrich Becker in Schweigen and Richard Grosche from winery Reichsrat von Buhl in Deidesheim on a journey through Pfalz. When: Saturday, April 7, 11 a.m.-12:30 p.m.
Join associate winemaker from Halter Ranch, Molly Lonborg; executive winemaker and Vvneyard manager from Tablas Creek, Neil Collins; owner and winemaker of Linne Calodo Matt Trevisan; and owner of Villa Creek and former Vail Valley resident Cris Cherry. The group will be exploring the Paso Robles AVA, (American Viticultural Areas). The wines they will include are Grenache, Mourvedre, Syrah and beyond. When: Saturday, April 7, 1-2:30 p.m. Individual event tickets and signature event passes are now on sale. Four- and six-pack seminar tickets are available for those wanting a more intimate learning experience with participating wineries and local chefs. The four-pack seminar tickets are on sale for $150 and a six-pack for $185. Individual seminar tickets are between $50 and $55. The signature Mountain Top Tasting is currently available for $150; The Lamb Cook Off and Apres Ski Tasting is $85; Debut of Rose is $55 and the Grand Tasting for $220. Save with signature event package with tickets to all flagship events for $430.